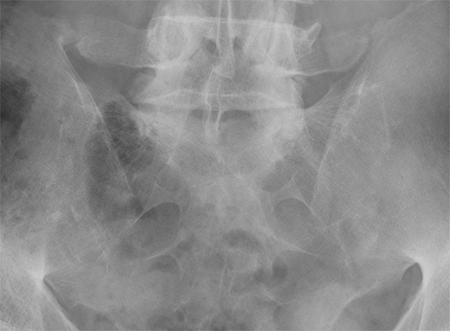 For many years conventional radiography has been used to diagnose sacroiliitis, and the findings by radiography are still part of the accepted international diagnostic criteria for ankylosing spondylitis. The method can only show structural damage of the joints and/or bone. The diagnosis can therefore be difficult to obtain and may be delayed for many years unless radiography early in the disease is replaced or supplemented by cross sectional imaging (CT or MRI). 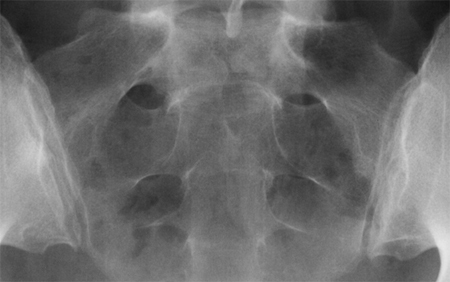 Grade 2: Minimal abnormality with small areas of erosions or sclerosis without alteration in the joint width. 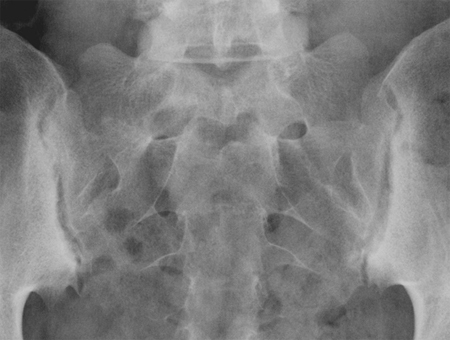 Grade 3: Unequivocal abnormality - moderate or advanced sacroiliitis consisting of erosion, sclerosis, widening, narrowing, and/or partial joint fusion (ankylosis). 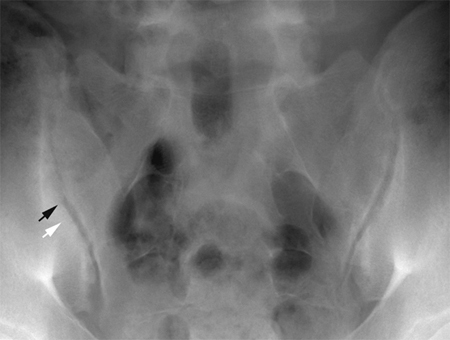 Grade 4: Severe abnormality in the form of total ankylosis. 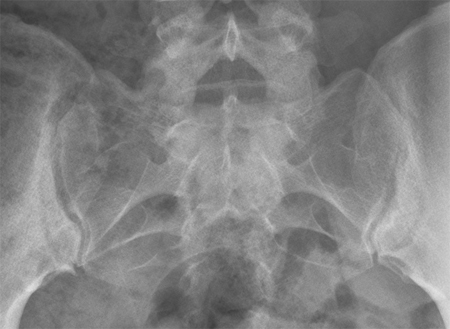 Total ankylosis of both sacroiliac joints.